The television show “The Ellen Show” has caught the attention of UFO/alien enthusiasts as U.S. President Barack Obama guested on the show and answered questions about aliens. 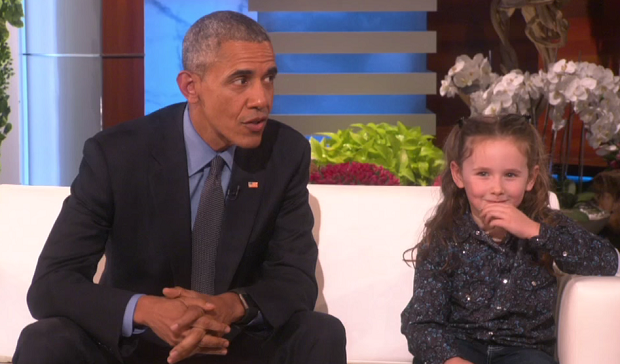 It wasn’t the first time the president responded to this kind of question, but this time, a girl was the questioner. Obama responses, as in the past, are characterized as bit humorous but at the same time don’t deny the issue, leading to many speculations about the real meaning of them. Some speculate that if no direct contact yet, there are already an indirect contact. Others say that the word “yet” implies that the government knows direct contact will soon to happen.